As a parent, you are the most important person in your child’s life. You notice when your child smiles for the first time, rolls over, sits, walks and begins to talk. Child development refers to the way kids grow. But there is more to development than physical growth. As they grow, children develop their ability to communicate, to solve problems, and to navigate their physical and social worlds. Most of this learning happens early. 85% of a child’s basic brain structure is formed by age three! As a parent, you are the most important person in your child’s life. You notice when your child smiles for the first time, rolls over, sits, walks and begins to talk. These moments mean that your child is learning! 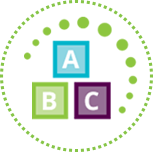 The information on these pages will help you recognize your child's developmental stages and learn activities to promote healthy development. Learn about our Help Me Grow WA program that provides free developmental screening for all kids under 5, no wait lists or income requirement. Your child's school experience will be best if you work together with your child's early educators, kindergarten teachers and school staff. Read tips for getting you and your kids ready for school. Development is measured using “milestones,” skills that almost all kids at a given age are able to do. The Milestones Quiz is a quick, fun way to test your knowledge of development.